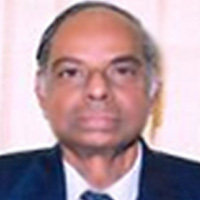 Chairman, Economic Advisory Council to the Prime Minister since 2009 – 2014. Lifetime Achievement Award by Adding Smiles Ambassador Awards in 2016. Conferred Honorary Rotarian by the Rotary Club of Chennai in 2015. Awarded ‘GITAM Foundation Annual Award’ by GITAM University, Visakhapatnam in 2014. Honorary Doctorate (Honoris Causa) by Davangere University in 2013. D.Sc. Degree (Honoris Causa), University of Hyderabad, 2010. National Corporate Award, India Corporate Week 2009. Finance Man of the Decade, Bombay Management Association, 1998. View: Much more consumption than on investment, The Economic Times, February 02, 2019. Removing the roots of farmers’ distress, The Hindu, January 28, 2019. The Intriguing Picture of Investment, Business Line, June 15, 2018. How to Stand by its Side, Economic Times, May 26, 2018. Balancing Conflicting Claims, The Hindu, May 19, 2018. Analyzing Rainfall Impact on Farm Output, Business Line, May 17, 2018. How the Data Sets Stack up?,The Hindu, April 4, 2018. Equitable Reforms for Equitable Growth, Industrial Economist Golden Jubilee commemorative issue, 15 March 2018. Are Fiscal Risks Increasing?, The Hindu, February 10, 2018. Let’s talk about a supplemental income, The Hindu, August 7, 2017. Time for Course Correction, The Hindu, September 13, 2017. MPC’s Inflation Data Dilemma, Business Line, September 19, 2017. Determinants of India’s Exports, Journal of Quantitative Economics, Volume 15, Issue 3, pp. 629 – 646, September 2017. Avoid the Adventurous Path, The Hindu, October 17, 2017. A Way to Manage Falling Prices of Pulses, Business Line, November 29, 2017. Getting Back on Tract, The Hindu, December 8, 2017. GST, a Work in Progress, The Hindu, December 22, 2017. Focussed Spending, but Deficit a Concern, Business Line, February 9, 2018. A Well-intentioned Budget, Business Line, February 6, 2017. How to Account for Extinguished Notes, Mint, December 5, 2016. Watering the Green Shoots, The Hindu, November 14, 2016. Inflation Targeting: Policy Put the Kettle on, Economic Times, November 2, 2016.